GNX Bulktainer are built tough and tested to meet stringent testing norms. Over the years we have acquired the requisite knowledge and experience to ensure optimum security and safe handling of IBC 's. The IBC's carry most hazardous and precious chemicals across long stretches of land and water and hence it is imperative to follow basic precautions of blocking and bracing. 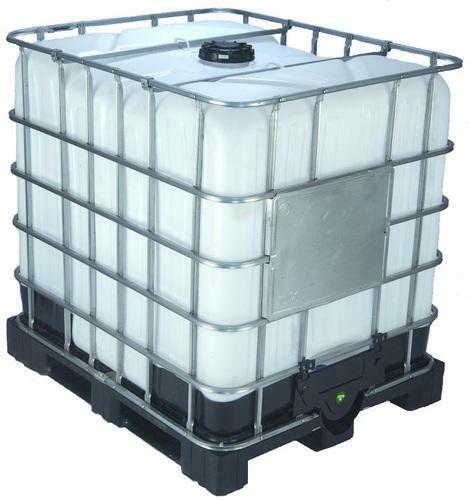 IBC Model : GNX-WP ISPM-15 Wooden Pallet IBC. Certification : UN / Non-UN certification / FDA.Dimensions: 1000(L) x 1200(W) x 1175mm(H)Useful Volume : 1000 Litres.Inner container : UV stabilized HM-HDPE.Filling Opening : 150 mm / 225 mm.Bottom discharge valve: Ball / Butterfly valveCage : Galvanised steel tubes for better corrosion resistance. Pallet : Full Plastic PalletIdentification Plate : One /Two plate. Time Technoplast Ltd (Time Tech) is a multinational conglomerate with operations in Bahrain, Egypt, Indonesia, India, Malaysia, Sharjah, Taiwan, Thailand, Vietnam is a leading manufacturer of polymer products. The company's portfolio consists of technically driven innovative products catering to growing industry segments like, Industrial Packaging Solutions, Lifestyle Products, Automotive Components, Healthcare Products, Infrastructure Construction related products, Material Handling Solutions & Composite Cylinders. Time Tech group operates more than 40 production facilities across the globe and is recognized for its innovative plastic products. Since its inception in 1992, Time Tech has set itself apart from its competition by focusing on research and development, futuristic product designing, superior customer service by setting up 28 manufacturing units & 10 regional and marketing offices to meet the growing demand of Indian customers & further to fill the need gap for global customers.